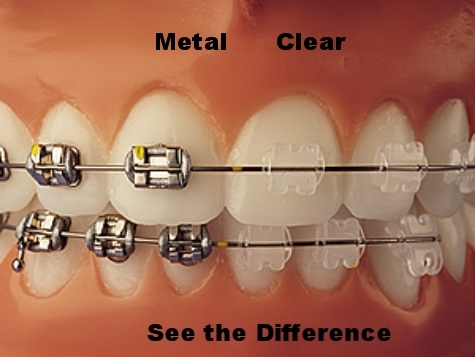 Braces/Orthodontics are used to straighten teeth, and to correct jaw alignment. You may be familiar with traditional braces. Usually made of metal, these braces can now be only as noticeable as you want. Brackets, the part of the braces that attach to each tooth, are smaller and can sometimes be attached to the back of the tooth to make them less noticeable. Brackets can be made of clear ceramic, plastic, or combination of these materials. Some brackets are clear or can be tooth colored. Another type of orthodontic treatment uses a series of clear, removable aligners to move your teeth over time. These aligners are more discreet than traditional braces. Prices and the length of treatment are different depending on what you choose. Aligners are not suitable for every patient; Talk to us about the right choice for you.